If you're at a loss for what to buy your loved ones, we'll sort you out. 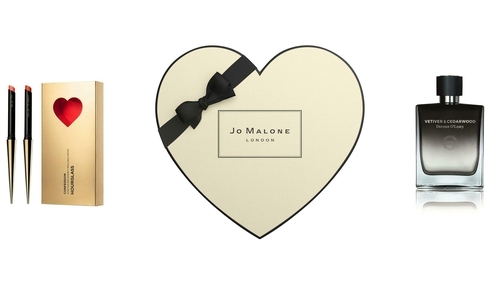 Jo Malone Keepsake Heart-shaped Box, available with an engraved message, date or initials when you buy any two Jo Malone products. We recommend trying their new Irresistible Pairs range (€54 per 30ml cologne), pick up the Limited Edition Red Cologne Cap, or go classic with a cologne and a candle (from €54 each, travel candles are €28). Available from Jo Malone stores.